Heather is a NASJA Lifetime Acheivement Award Winner and a Harold Hirsh Three Time Award Recipient for “Excellence in Journalism”! Heather was also named Top 100 ski peeps to follow on Twitter by Freeskier Magazine…. 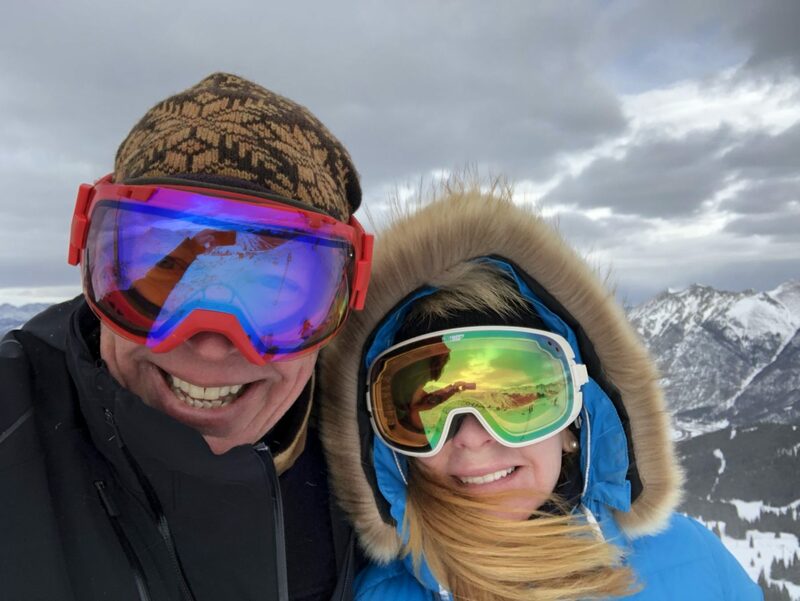 Below are a few testimonials from past resort hosts commenting on the work of Heather & Greg Burke, Journalist, Photo Journalist, and editors of www.FamilySkiTrips.com and The Luxury Vacation Guide. We are glad to see you spent an informative and enjoyable media visit in St. Anton am Arlberg Austria. You have been very productive upon your return to the US. We are really pleased with your work, articles, photos and social outreach. It was a pleasure having you here, we look forward to welcoming you again. Thank you very much for all your articles on Family Ski Trips and Luxury Vacation Guide… Lovely to meet you 2. We will share your articles and follow you on Facebook. 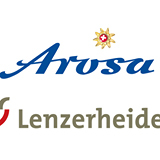 If you are ever in the Swiss region Arosa – Lenzerheide again, pls let us know. Thank you for all the Portes Du Soleil coverage, you must have been writing non-stop since your media visit! We truly appreciate all the positive recommendations to your many readers and followers. Thank you again for your posts and articles on Family Ski Trips and Luxury Vacation Guide. Thank you so much for the great Swiss coverage. Impressive! I posted your article on my Facebook page! Thank you very much for your great Zermatt articles, pictures and videos of Zermatt. I wish you many sunny ski days in the future. Thank you so much for your beautiful reviews on Saas-Fee Switzerland, the Pearl of the Alps. We hope you travel back to Saas Fee again. Our pleasure to host you. Heather & Greg, Thank you for your excellent and plentiful reporting on your experiences in Austria skiing! Let us know when you want to ski Austria again – perhaps I will join you!! Thanks for all the great ski stories and features on all the different channels Heather and Greg! You are my favorite journalists this winter!!! You will be always welcome in Lech Zürs, whenever you feel like it! Thank you Heather & Greg for the Vail ski reviews! Let’s not wait several more years, let’s get you out to our Utah and Tahoe resorts soon! This is great Whistler Blackcomb coverage. Thanks so much! I will share this with all the mentioned Whistler businesses and I’m sure they will be thrilled! Great photos Greg! We’ll share on social media as well! and Snowbasin made their list! Heather and Greg, Thank you so much for including Field Guide at Stowe in your Top Romantic Ski Resorts article on Boston.com. The team at Lark Hotels is happy to be in such great company! We’ll be sure to share on social media as well. Thanks and come see us again, I’m happy to set it up! Thank you for all the Aspen coverage. We really appreciate it. Great to have you and Greg out here, enjoyed skiing with you. Heather & Greg, We are so excited to read your Ski Whitefish story on Boston.com! Nice work capturing the spirit of our little town and big mountain. Your timing is perfect as the snow is falling heavily. Thanks again for including Whitefish in your travels, your luxury and family ski websites, blog and your extensive social outreach! Wow, that’s a huge amount of work! Thank you for visiting our Italian Dolomites and sharing our skiing, hotels and restaurants with your US readership on your Luxury Ski Site and Boston.com. I will share this with my clients. The Hermitage Club is thrilled with this coverage (as am I). This is amazing! We would love to organize another media visit with you. Thank you for sharing all of your articles from your Northern Idaho ski visit. Seeing these fantastic articles and photos is very exciting. Thank you so much for this really nice, massive coverage on Gstaad Grand Hotel Park. Please contact me anytime should you decide to come back to Switzerland! We wanted to thank @FamilySkiTrips again for the great article on Boston.com about our GoGloves! Thanks for helping us get funded with Kickstarter, we are so excited, thanks again for your support! Heather, This coverage is amazing! Thank you very much! We appreciate you guys visiting Lake Louise and Kicking Horse and such great articles and photos. Wow! Heather, our cup runneth over! Thanks so much for all the phenomenal posts, articles, photos and content following your ski visit to NH’s Mt Washington Valley! We know you travel all over the world to ski, so we sure appreciate your choosing the White Mountains. These stories and reviews and posts are just great! Many thanks for all your different media placements on Grindelwald, Wengen, and Murren. Excellent! I hope you had an amazing time in Switzerland and you will come back again. Wow! So great to see all this Purcell Heli Skiing coverage and your story is wonderful, you clearly picked up on all the things we’re most proud of. Not all media communicate our vibe so well, or so promptly. Heather, your website is fantastic. As a family we have acquired a strong passion for the sport, and your ski site has provided invaluable information for us in our enjoyment of east coast skiing, thank you. The pics of your ski travels are great too. Appreciate all your work! Thanks for the great media coverage generated from your trip. We so appreciate your work to help spread the word about Idaho’s ski areas. These are wonderful stories and photos, and your social media reach is terrific. I hope all the people reading think the same and get curious about our special little place in the heart of the Swiss Alps. Thank you very much for all the Engelberg Titlis ski articles and media coverage! Great! Hope to ski with you again soon! 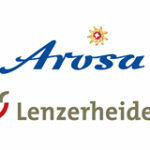 Thank you for your articles on Adelboden and Parkhotel Bellevue. This Big Sky ski review is awesome!!! Thank you so much! Love your writing style and photos on Boston.com and your two ski sites. It was such a joy to meet you and your family as well. Your many features on Le Massif and Hotel Le Dominion Charlevoix describe really well our property and its ambiance. Please let me know when you will be back with us, it would be a pleasure. Heather, you rock! Thanks so much for your writing and sharing with your many media outlets! You truly honored the embargo and got the ski news out first! Nice work! Great Sunday River feature article Heather. Thank you very much. We had a great time skiing together. Let’s get you and Greg back for one more trip this winter. You treat us very well, we appreciate it. Heather and Greg, Amazing! Thank you for all the wonderful stories on the Durango area and Purgatory Durango Mountain Resort. We really appreciate it. You are welcome back anytime. It was wonderful to meet you both – such a professional ski journalist team. Anne Klein, Durango Tourism, Durango, Colorado. It was a pleasure to have you and your family with us and we welcome you all back in the near future. saying all the nice things you did, the photos are fantastic. Grand Targhee loves the Burkes! Great team and great Targhee articles on Boston.com and their ski sites! This coverage is great! You guys rock! 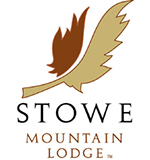 Love your article on Stowe Mountain Lodge on Boston.com, and all your posts. The higher-ups here are praising all your fantastic coverage of us, and the staff have loved it too. Awesome article on Stowe, thank you! Thank you for the fantastic positive article and beautiful shots. We appreciate the extraordinary coverage on Boston.com and your two superb ski websites. I am absolutely thrilled with your coverage of Idaho skiing and the Shore Lodge following your visit. Heather and Greg – Thanks so much for the great story about Mt Washington Valley in today’s Press Herald. We couldn’t have asked for a better story! I’m so impressed with all the outlets you’ve found for that story!! We really appreciate it. Your piece on The Lodge at Vail looks beautiful! H eather and Greg Burke are fabulous journalists. They are passionate about skiing, especially skiing as a family, and they work together to publish great stories and photos. Their articles are an inspiration to readers. The Burke family spent a week touring Idaho and we were ecstatic about the resulting media coverage! We look forward to their return to Idaho.